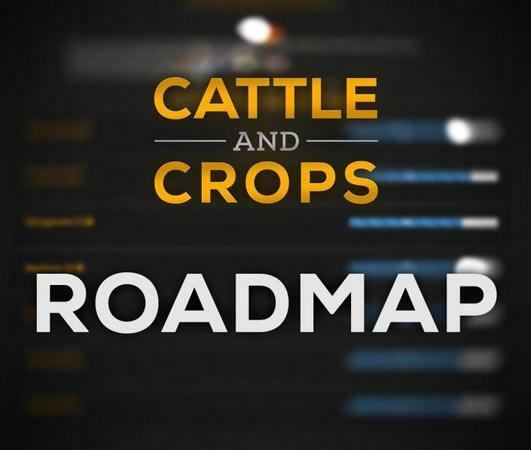 As announced recently, we’ve released the public Cattle and Crops roadmap, which is accessible to everyone starting today. The goal is to to give you some insight into our development plans and offer you an impression of what content you can expect from the first EA version and continuing afterwards. We’re working with four milestones that divide the Early Access phase chronologically. They do not have distinct dates yet, though. The progress values roughly represent the current status, respectively. Once a feature has reached 70%, we consider it playable and testable (in the EA). Looking forward, we’re going to update and expand it..